Ahi skræntsvæver fra Dream Flight. Skræntmodel med aftagelige vinger for meget nem transport. Inspired by years of “in your face” flying with our Weasel and Alula gliders, the Ahi takes your slope expression to the next level of performance. The Ahi reinvents freestyle aerobatics with a totally fresh design. Pump it, roll it, spin it, snap it, tumble it, embrace the potential. The canvas has never been bigger- let your creative paint fly! 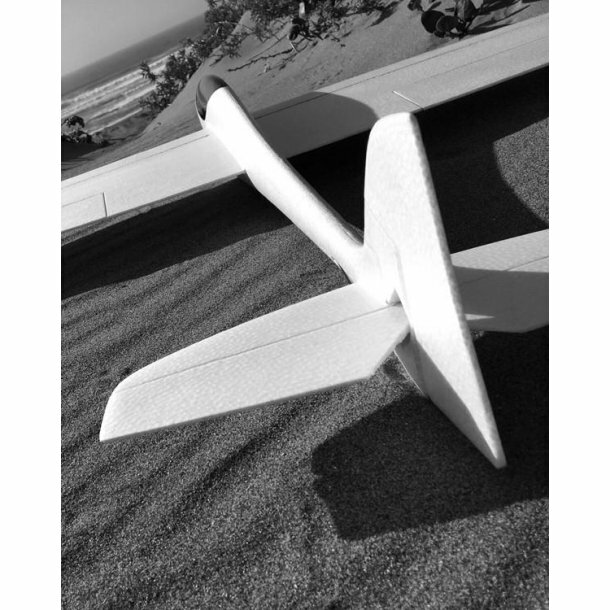 The Ahi's purposeful layout and shape make for a fully capable aerobatic sloper with a groovy pattern-like feel and precision, allowing you to efficiently connect maneuvers in less lift. Carefully proportioned and balanced control surfaces provide predictable, yet aggressive control authority.